One of the secrets to staying healthy as a senior is making sure that we get enough sleeping hours. However, as we grow old, our quality of sleep becomes harder to maintain. Counting hundreds or thousands of sheep in our heads before we sleep may no longer help. According to experts, it will be ideal if we incorporate minor but significant lifestyle adjustments. 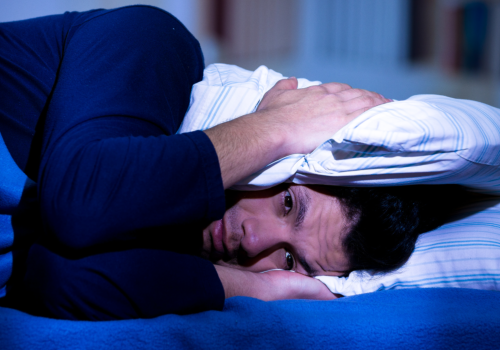 As a non-medical home care service provider for quite some time now, our team at Lowenhill Home Care Services has noticed that one of the biggest complaints our clients have about their health is insomnia. If you have experienced this problem before, it is undeniable that the consequences can really get irritating. Sleeping is a delicate action. If too many distractions are around, achieving a sound and deep sleep would be almost impossible. Start by getting rid of what is unnecessary. Excessive accessories and other gadgets will only minimize the actual area and contribute to visual distortion. Keep in mind that the sleeping space must exude an aura of serenity and relaxation. Stick to a sleeping schedule. The human body selects and adopts a certain sleeping schedule. If it cannot, confusion occurs. And in that confusion, insomnia may be triggered. To get out of this misery, make a timetable of when to go to bed and when to wake up. Also, avoid having naps during the active hours. This has the tendency to disrupt the flow of sleep during nighttime. Get involved in fun activities. After retirement, we are usually left with nothing else to do. This alters our wake and sleep cycle. To implement tip number two, try to find highly engaging activities. The possibilities are endless! Keep in mind also that it is never too late to experience something new at an advanced age. Exercise as often as recommended. In addressing sleep issues, exercise is highly essential. One, it aids in keeping the physical system under normal conditions. Meaning, physical activities help reduce (if not entirely eliminate) factors that disturb healthy sleep. Secondly, exercising tires the body out. As we all know, rest is the body’s natural response to fatigue. Some medicines prescribed to treat our other health conditions can cause restlessness. But since these medications are needed for our survival, it is dangerous to stop taking them. The better thing to do is have a word with the experts. Mostly, they would adjust the medication schedule or prescribe other drug variants. Medications are not the only solutions available to treat insomnia. You just need to explore and find alternative options. Who knows? The best technique for you is just around the corner. And if you need non-medical home care support, Lowenhill Home Care Services is always here for you! Simply subscribe to our Facebook and Twitter for the latest updates. We welcome your response, reactions, and suggestions! If you have any, please use the intended comment box below.